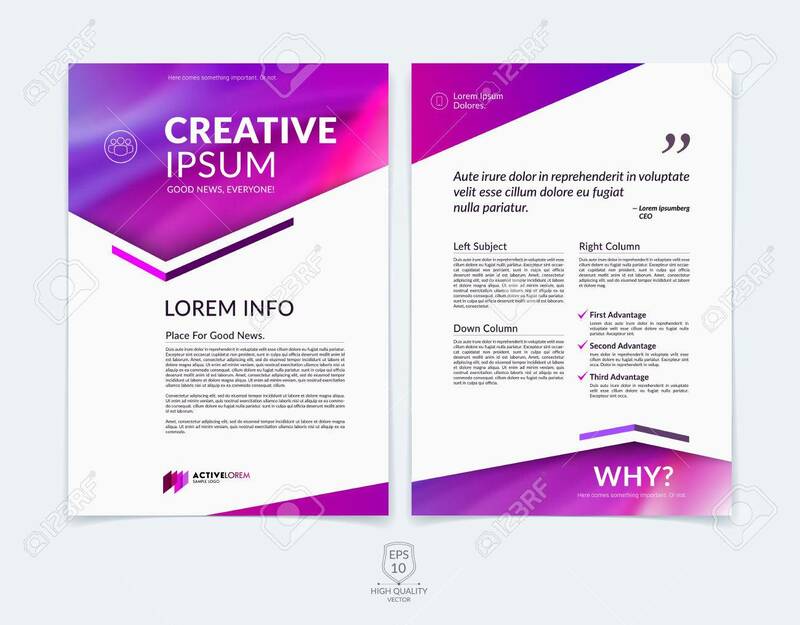 Business Brochure, Flyer And Cover Design Layout Template With.. Royalty Free Cliparts, Vectors, And Stock Illustration. Image 52680467. Vector - Business brochure, flyer and cover design layout template with red, pink and purple geometric triangle shapes and colourful blurred backgrounds. Business brochure, flyer and cover design layout template with red, pink and purple geometric triangle shapes and colourful blurred backgrounds.